Alternative strategies are urgently required to fight obesity and associated metabolic disorders including diabetes and cardiovascular diseases. 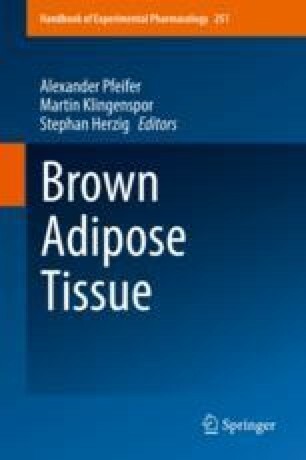 Brown and brown-like adipocytes (BAs) store fat, but in contrast to white adipocytes, activated BAs are equipped to dissipate energy stored. Therefore, BAs represent promising cell targets to counteract obesity. However, the scarcity of BAs in adults is a major limitation for a BA-based therapy of obesity, and the notion to increase the BA mass by transplanting BA progenitors (BAPs) in obese patients recently emerged. The next challenge is to identify an abundant and reliable source of BAPs. In this chapter, we describe the capacity of human-induced pluripotent stem cells (hiPSCs) to generate BAPs able to differentiate at a high efficiency with no gene transfer. This cell model represents an unlimited source of human BAPs that in a near future may be a suitable tool for both therapeutic transplantation and for the discovery of novel efficient and safe anti-obesity drugs. The generation of a relevant cell model, such as hiPSC-BAs in 3D adipospheres enriched with macrophages and endothelial cells to better mimic the microenvironment within the adipose tissue, will be the next critical step.